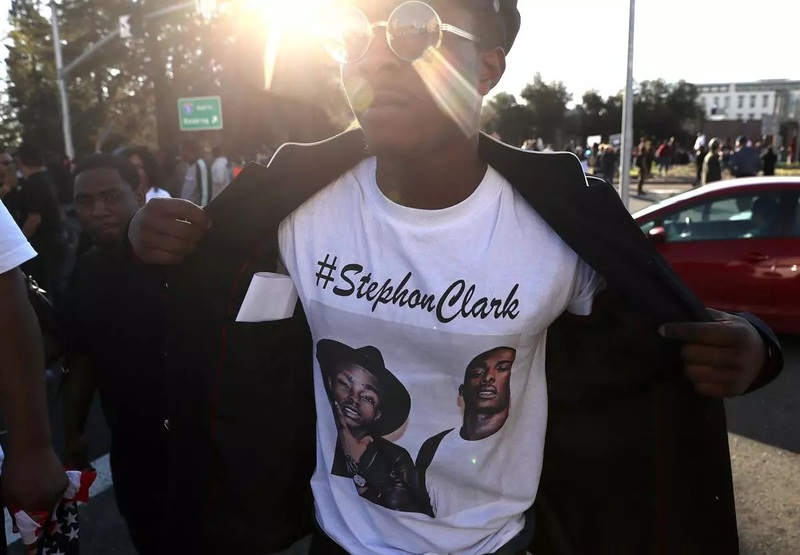 Was the Stephon Clark Shooting Justified or Unjustified? A young man named Stephon Clark was shot by Sacramento police on Sunday, in his backyard. Police stated they thought he was holding a gun, but it was determined after the shooting that he was unarmed, holding only a cellphone. The LA Times reported "hundreds of protesters took to the streets Thursday, blocking freeway access to a Sacramento Kings game. At City Hall, members of Black Lives Matter and other activists condemned the incident as yet another case of officers shooting an unarmed black person." Police released raw footage of the body camera and footage from the police helicopter that was circling, which I wanted to review before making up my mind on this issue. After viewing the footage, I reached my own conclusion -- there is no evidence that the shooting was unjustified. Clark was reported to police for smashing someone's car windows and then being in someone's backyard. Police arrived on the scene at 9:13pm and at 9:25pm, "the sheriff's helicopter spotted a man in a backyard and told police that the suspect had picked up a 'toolbar' and broken a window to a home," reported the LA Times. He climbed a fence, went into another yard, climbed another fence and looked into a vehicle, before running into his own backyard. Now, the police officers told him multiple times to not flee and to show his hands. Clark ignored all orders from police. Moments before the shooting, he emerged from around a corner with an object in his hands. At this point, an officer shouted "gun, gun, gun," which initiated the shooting. What people need to understand is under such conditions, officers have a split second decision to make about protecting their lives or taking out a threat. Based the footage, there is nothing to suggest that the officers involved could have made a reasonable determination that Clark did not in fact have a gun. They saw someone who was caught committing a crime, fled, disobeyed orders, hid and then emerged with his arms out and something pointed at them. Yes, this something turned out to be a cell phone, but in plenty of other cases it was in fact a gun. If you're the shoes of the police officers and also have a family to get home to, would you really roll the dice? Protests in the name of "another unarmed black man shot by the police" are unfounded, because this was a justified police shooting. Clark could have made dozens of different decisions, which would have resulted in a different outcome. That's probably the most tragic part of all -- this could have been avoided and his own actions are the reason he's no longer here. Additional calls for officers to have to "explain all 20 shots" fired are unwarranted, because police officers (and anyone who has been through firearms training) are taught that if you have to use your firearm, you shoot until the threat is eliminated -- period. There are no warning shots. There is no shoot them in the leg and figure it out later. In self-defense use of a firearm, you are shooting with the intent to end someone's life. Because, if you actually have to use a firearm, you're doing it because there is a credible threat to your life or someone else's. Why would Black Lives Matter protest at a basketball game, blocking traffic? All you're doing is inconveniencing people who paid money for tickets and people who had nothing to do with the shooting. Go protest at the police department. And why ignore the hundreds of deaths that actually were unjustified, but committed by others -- some black, within our own community? I wrote in a separate article about a 2017 study that shows that at least 75% of all police shootings of black people are actually justified. When that's the case, we have a number of things to address within our community. The entire Black Lives Matter movement is a joke, because time and time again, they show that they don't really care about black lives at all -- just making headlines. Take a look at the footage of the Clark shooting below and make up your own mind. Hey NFL Players: You're Doing It Again! 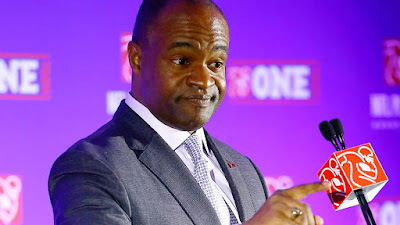 It was reported today that NFL Players Association (NFLPA) Executive Director DeMaurice Smith thinks the motive behind the new National Anthem rule in the NFL is about the league "exerting control" over the players. He is both right and wrong. To the extent that the relationship between NFL players and team owners is an employee/employer relationship means that yes, the owners can (and should) exert control over their employees. In what other job would this be questioned? A manager at Home Depot has every right to dictate what constitutes acceptable behavior by people working for them while they are on the clock in their store. Starbucks has every right to dictate what behaviors are acceptable to people working at the stores in their chain. And as a business, the NFL has the right to dictate acceptable behavior for its employees when those employees are on the clock, which is on game day. 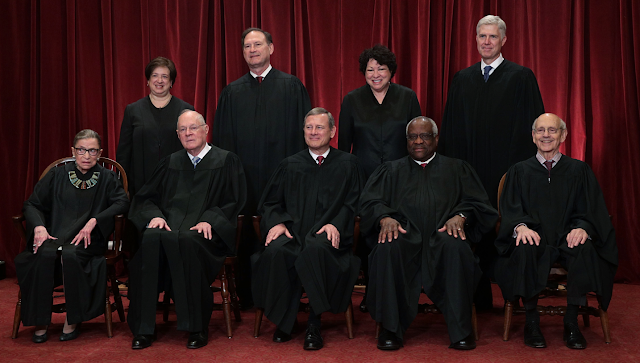 This week the US Supreme Court issued a 5-4 ruling upholding President Trump's policy of temporary restricted travel from a handful of countries liberals call "Muslim majority countries." The Court ruling highlights two key points: 1) the President does actually have the ability to set definitive policy on who may or may not enter the country, based on national security, and 2) the Left is still at war with facts. "Whenever the President finds that the entry of any aliens or of any class of aliens into the United States would be detrimental to the interests of the United States, he may by proclamation, and for such period as he shall deem necessary, suspend the entry of all aliens or any class of aliens as immigrants or nonimmigrants, or impose on the entry of aliens any restrictions he may deem to be appropriate." People keep asking me about Qanon, so I'm going to address it here in this post. Qanon is said to be a person (or group of roughly 3 people) working within military intelligence with extremely close access to the President of the United States, Donald Trump. The letter "Q" represents a compartmentalized level of security clearance within the US government. "Anon" stands for anonymous. Since the end of 2017 Q has been posting on the message board 8chan. The messages seem to serve as a road map for what is happening behind the scenes in the administration--mostly related to "draining the swamp" and how the administration is dealing with rooting out corruption (by both Republicans and Democrats) within the government.